As part of a study to assess requirements for a second platform to be provided at Hanborough station, vegetation has been cleared around the disused platform on the south side of the trackbed. The work allowed the condition of the structure and its brickwork to be inspected. It may not be possible to re-use the existing structure, as it is lower than the standard platform height now required by Network Rail. It was last used by passengers in 1971, when the section of the Cotswold Line between Oxford and Ascott-under-Wychwood was made single-track and Hanborough was left with a limited train service. It is now one of the busiest stations between Oxford and Worcester. 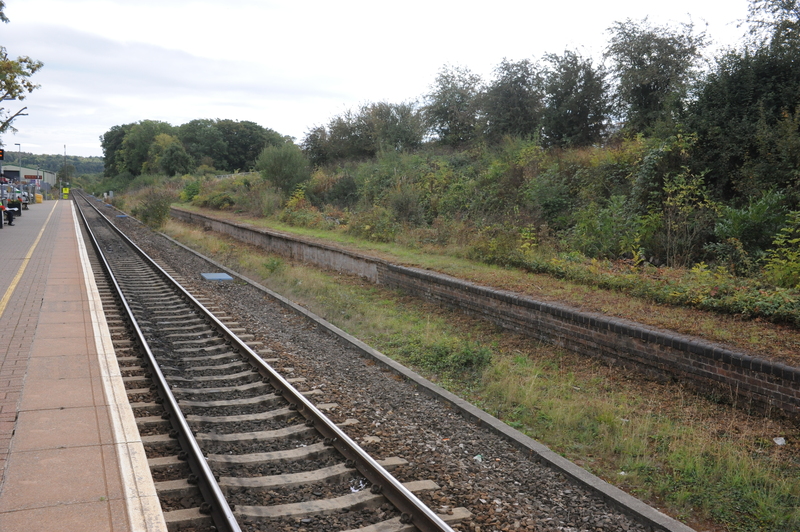 The survey of the platform was linked to work being carried out by the Cotswold Line Task Force, chaired by the CLPG's president Lord Faulkner of Worcester, to draw up detailed proposals for the future development of the route. The ideas being considered include provision of a service of two trains per hour in both directions, reducing journey times and improving stations, as well as looking at ideas such as extra shuttle services at the Oxfordshire end of the line to help ease road congestion around Oxford, with Hanborough potentially being developed to support a rail-based park-and-ride service for commuters into the city centre. A report containing the task force's proposals is expeced to be published later this year.